Q: Barbara – What are appropriate boundaries for the doctor/patient relationship? A: David Harlow, Esq. 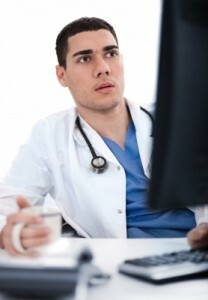 – Most physicians and authorities agree that a health care professional should not “friend” or otherwise connect with a patient (or accept a request to do the same) on Facebook or other online social media platforms for any purpose other than to advance the clinician-patient relationship, always being mindful of the patient’s right to privacy when engaged in open online dialogue that can be read by others. Patients, of course, have the right to waive these concerns, as many do in this day and age, blogging about rare diseases, for example, in order to raise awareness or to gain insight from a clinician the patient would otherwise never see in real life. Personal connections made on line, like those made in real life, are fraught with the risk of the clinician exploiting, or being seen as exploiting, what is generally considered to be an unequal power relationship. In this day and age, however, the underlying premise about the relationship bears re-examination. Patients, who are engaged, educated and empowered to participate in their own health care — e-patients who are also wired, connected on line — are less likely to see themselves as being on the weak end of an unequal power relationship. It seems to me that the medical boards considering these issues should consider the possibility that a “one-size-fits-all” approach may not work. Personal communications in online communities between clinicians and patients are not that different from those that may take place in a grocery store in a small town — patients may seek out a clinician’s advice for a “curbside consult.” Furthermore, some clinicians may wish to model responsible behavior and offer support to their patients through personal online accounts (e.g., Facebook). Posting “I’m enjoying a glass of zinfandel with dinner” is very different from posting a photo of drinking to excess. For the time being, however, the most appropriate approach is to move conversations veering from the general to the individual clinical issues into a private and secure forum — or offline. This is the first installment in a series of posts on the legal aspects of social media, with legal expert, David Harlow, Esq.